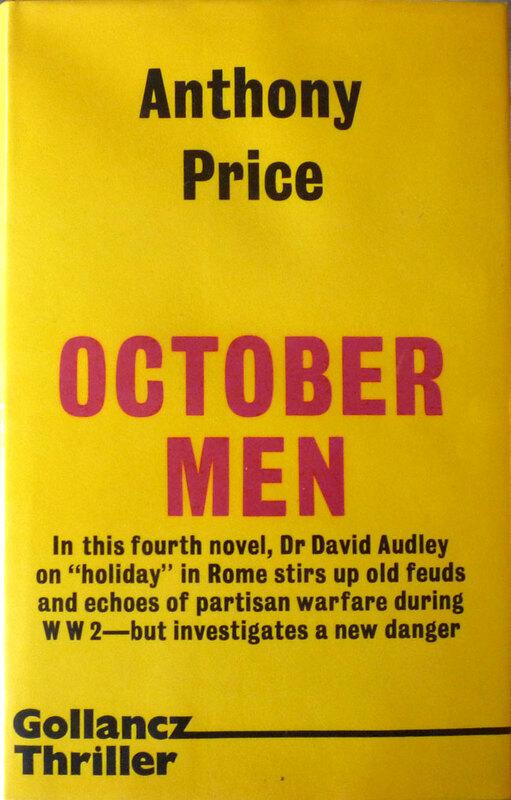 A UK hardback first edition/first impression of Anthony Price's October Men, published by Victor Gollancz in 1973. 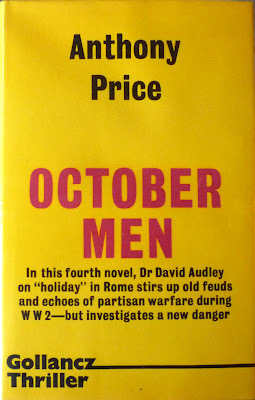 It's the fourth in Price's series featuring various operatives of the Ministry of Defence's Research and Development Section – in this instance Dr. David Audley and Captain Peter Richardson – and I reviewed the novel itself back at the end of July, just ahead of my two-part interview with Price. However, the only edition I'd managed to secure by that point was a 1992 second impression of the 1984 Gollancz reprint – reason being, October Men is a right bugger to find in first edition, at least at an affordable – ahem – price. Of the five Gollancz firsts currently listed on AbeBooks, only one is in the UK – an ex-library copy, for over eighty quid – and the rest are either also ex-library or scattered around the globe and troubling a ton – as in, £100, although there is one for sale from the States at the moment for much less than that. But anyway, my point is, the first of October Men isn't readily available in the UK. So I was delighted to find this fine – in all senses – copy at Sunday's fair. It wasn't cheap, but it was still less than half the amount I'd have had to pay for the nearest comparable copy. And considering the splendid state of my one – a bright dustjacket with only the most minor of dinks; clean, fresh, almost unread pages – it could even be considered something of a bargain. 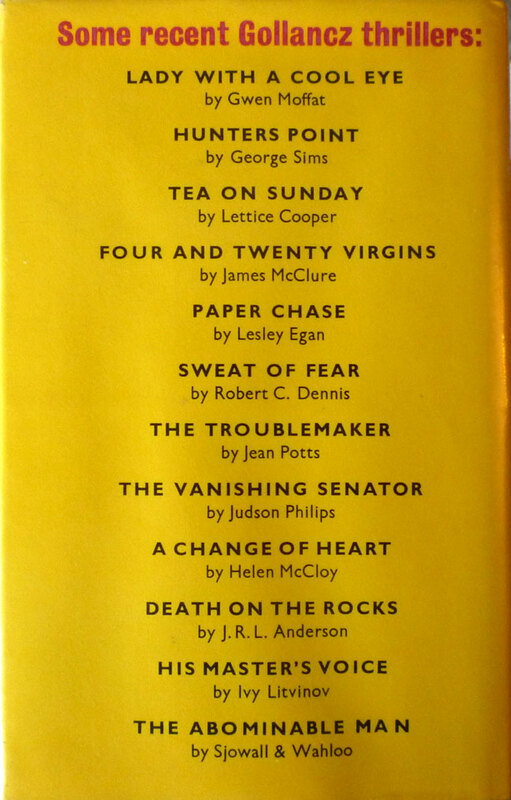 Moreover, the acquisition of a first of October Men means I now have in my possession first editions of all seven of Price's novels to feature that iconic yellow Gollancz dustjacket, i.e. 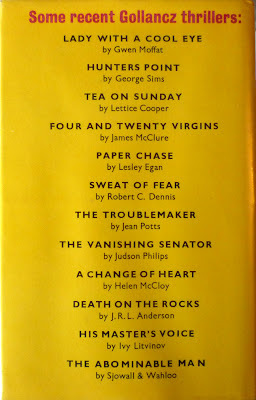 David Audley novels #1–7. So, for the next post, how about a gallery of all those firsts...?